GAS CITY, Ind. — With a résumé that includes more than 25 years of successful motorsports promotion, long-time racing executive Jerry Gappens has reached an agreement with track owner Jack Himelick to lease and promote Gas City I-69 Speedway. Known for his creative and effective marketing and promotional skills, Gappens enjoyed a 23-year career with Speedway Motorsports Inc., working for NASCAR Hall of Fame track owner O. Bruton Smith. A native of Kokomo, Indiana, Gappens most recently served as executive vice-president and general manager of New Hampshire Motor Speedway for eight years. He developed marketing strategies that helped sell more than one million tickets to NASCAR, motorcycle and road course events during his tenure. In addition, he helped create new revenue streams, increased brand awareness of the multi-use facility and its events and implemented exciting pre-race entertainment, including concerts, game shows with prizes totaling $300,000 and a $1 million New Hampshire Educational Lottery promotional giveaway. Before his promotion to oversee NHMS, Gappens spent 15 years in executive management at Charlotte Motor Speedway, working under legendary promoter H.A. “Humpy” Wheeler. Gappens’ various roles included publicity, promotion and marketing events for the 1.5-mile superspeedway, quarter-mile and fifth-mile asphalt ovals and a four-tenths-mile dirt track. Gappens was honored as the inaugural recipient of the Most Outstanding PR/Marketing Executive Award in the NASCAR industry during his time at Charlotte Motor Speedway. Additionally, Gappens worked as on-air talent for ABC Sports’ coverage of major motorsports events, including the Indianapolis 500, Monaco Grand Prix and various NASCAR races. Himelick purchased the facility, which was dormant at the time, in 1996 and has made significant upgrades during his ownership. He brought in Jiggs Thomason in 1997 to promote the track and the two enjoyed a successful 17-year run until Thomason’s retirement. In recent years, various promoters have rented the facility for special events only, but Gappens plans to restore a full schedule of events this season. Gappens said the first priority is putting together a schedule of events for this season, including contacting various sanctioning bodies for date availability. 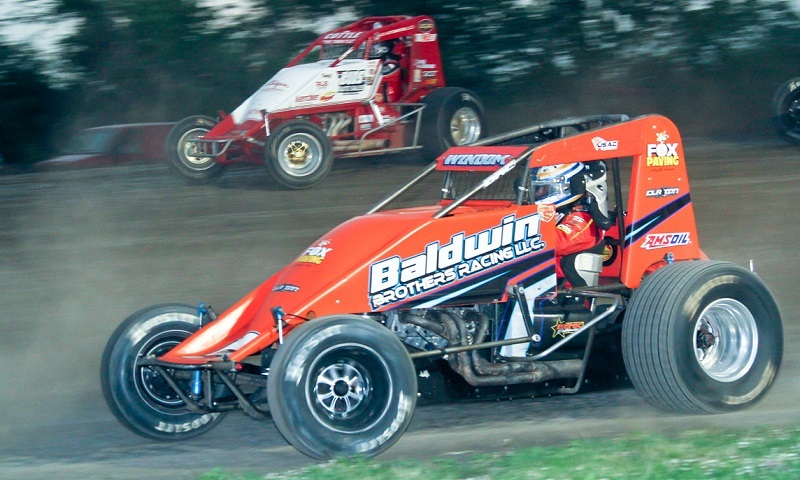 Looking primarily at Friday night shows featuring non-wing sprint cars, Gappens added that special events could also be run on other days. Divisions being considered include midgets, late models, modifieds and additional local classes.